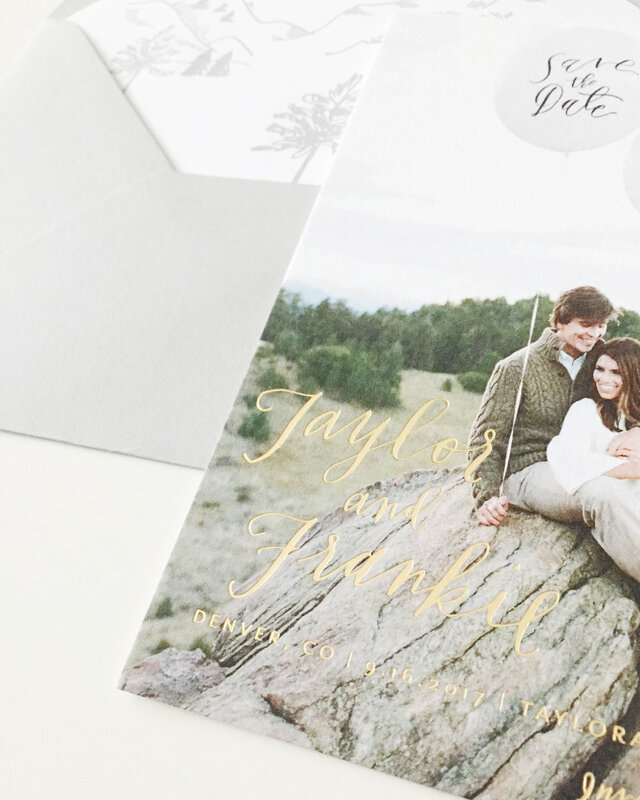 This couple used their Save the Dates to set the scene for their wedding. We used hand lettering to create the gold foil stamping on the photo card and created an illustration of the scenery for the envelope liner. Photo cards are a great way to share engagement photos with your guests. You can see other ways we've brought photos to life here and here.